The unknown becomes even more enticing in the hands of Mark and Jay Duplass, as their mystery box of a TV show consistently pays out. When watching serialized TV, it’s one thing not to know what’s coming next; that’s exciting. So many mysteries chase that feeling, hoping to reward the audience as much as they shock them with a bevy of unexpected twists. But it’s a completely different proposition not to know what, who, or when, and “Room 104” invites these questions and more at the start of every episode. Beyond the episodic anthology label assigned to it, the new HBO series from Mark and Jay Duplass changes everything but the room from episode-to-episode. In doing so, it creates a mystery box for viewers to unwrap every time they press play: What’s inside? You have to wait until the end to find out. This curiosity alone is unique to television. Plenty of series will highlight episodes that break from the typical format once or twice a season, but to truly face the unknown every week is far more scarce. Its only comparison among current series is “Twin Peaks,” David Lynch’s convention-defying “return” to TV, and even that follows a linear path over its 18 parts. Still, weekly viewers are often rewarded for not guessing what’s behind Curtain No. 1 with magical surprises like Mr. Jackpots, Diane, or Part 8 in its entirety. “Room 104” is equally consistent in rewarding viewers’ inquisitiveness and patience, while being slightly less ambitious in scope (as if anything could be more ambitious). Of the six episodes given to critics (half the first season), what’s on display is inventive and unique, featuring excellent performances, strong direction, and writing that steers stories toward the unexpected more often than not. The occasional speed bump is quickly forgotten in favor of what’s next and the standout episodes are worth savoring, sharing, and revisiting. Besides the appeal for those of us who indulge in too much TV (and are thus haunted by the overbearing similarities among programs), “Room 104” is simply very good television. Sprightly entertaining in episodes like “The Internet,” where a young man (Karan Soni) in the ’90s has a crisis before a big meeting, and deeply dramatic in half-hours like “My Love,” the series finale about a long-married couple returning to the room of their honeymoon, the Duplass brothers oversee diverse stories that succeed much more than they fail on their own accord. And speaking of diversity, “Room 104” excels in maximizing an array of voices. Not all of the episodes are outright successes, but they do showcase the new talent brought in to build them. Sarah Adina Smith directs Episodes 1 and 3, both of which are detail-oriented, unsettling stories of trust (or the lack thereof). 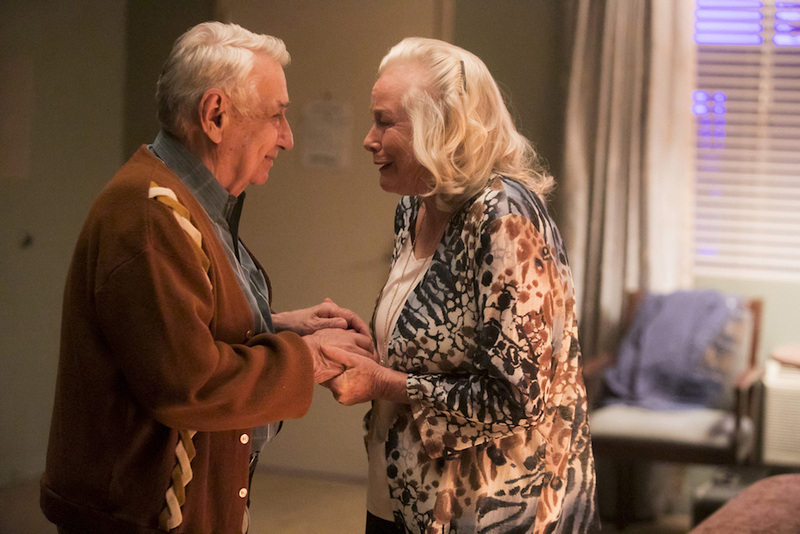 Talented character actors young and old make the most of their starring turns, with Philip Baker Hall delivering a particularly stunning performance in the finale. Even the slighter episodes don’t feel like missed opportunities or wasted time: The passion is always present, which goes a long way on its own but is cleverly extended by the two showrunners. The Duplass brothers, who created and produced “Room 104” in addition to writing seven of the 12 episodes, have carved out a niche in the expanding TV landscape. Like a charming bed & breakfast buried in a city crowded with hotel chains, this experimental haven is special. It also feels like a bit of a find. Though it’s got the full backing of HBO, that “Room 104” is airing on Friday nights at 11:30 feels deliberate for good and bad reasons: On the one hand, the dreamy setting and tone are conducive to late-night viewing. No matter the genre, there’s a disconnect perpetuated by the room itself. Viewers don’t leave it, and rarely does it noticeably change. For episodes like the premiere, the best of what was offered, watching after a couple of cocktails might keep the mind racing long into the night. But let’s be honest: Most people aren’t going to make the next 12 Friday nights appointment home viewing. They’re going to watch “Room 104” whenever they can, via HBO NOW or HBO GO, and we may never know how many viewers actually discover the series this way. What we do know is that it’s deserving of as many eyes as possible. At least in this game room, it’s always worth seeing what’s in the box.